To finish off my mustache obsessed week, here's the 'how to' when it comes to making a mustache cake... cause I just know that everyone reading this has always wanted to know how to make their very own mustache cake! Just think of all the prime opportunities for making a mustache cake... a friends baby shower, kids birthday parties, valentines day, a wedding or engagement party cake... okay, so maybe there aren't as many opportunities in life for mustache cakes as I thought, but after making it I realized I could always make some very cool paisley cakes with the same shape! 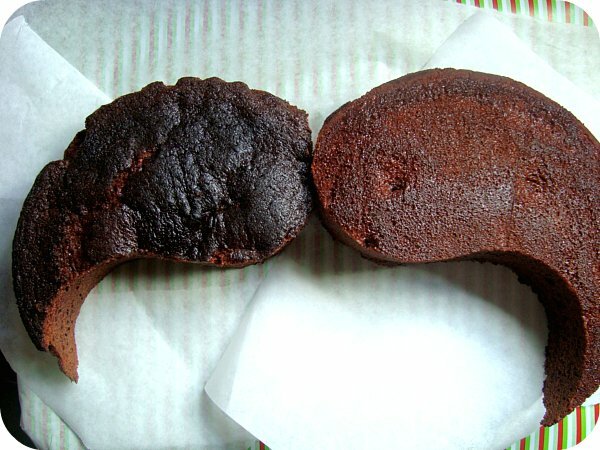 Take one round cake (I baked the never fail Dana's Chocolate Cake) and cut in half with a curve style S pattern to make two tear drop (or paisley) shapes. Flip one of the paisley cakes over to form your mustache! Secure the mustache together with wooden skewers or toothpicks. I line my dish or plate that I am going to serve the cake on with strips of baking paper before I ice the cake - then it's easy and quick to remove leaving a nice and tidy finish after icing. Ice your mustache in the icing of your choice and voila! One very cool mustache cake. My Dad loved it. Go here to see more about our "Mustache Party". Let me know if you ever make one... I will be rather surprised if anyone ever does!! Click on the link to check out my Beard Cake! Love it! And I did think you'd used a paisley cake tin for a minute there until I gathered you'd cut a round cake in half. Make a paisley cake next ay! So great!!! I'm so impressed it turned out perfect!!! Fantastic! It looks amazing. I'm imagining how honoured your Dad must have felt to have been celebrated so thoroughly with such love and affection. Looks like everyone got into the spirit too. What lovely memories you created for everyone. Meredy xo. lol ! that's amazing!!! :) too cute! You are one very clever lady, and Dad looks like he enjoyed every minute of his special day. 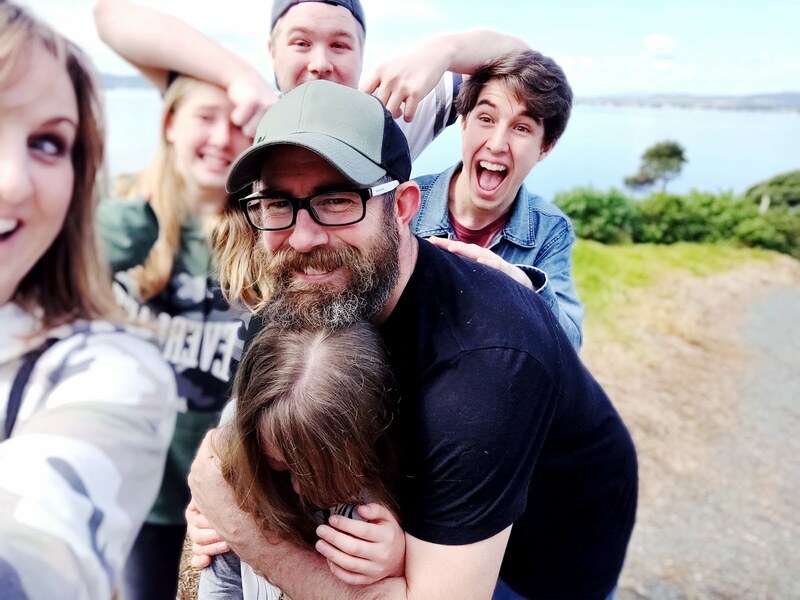 Kids and big kids alike look like they had a ball, you are making lots of memories. Haha! I love it!!! Too cute! Good job! ..Makes me hungry for cake! I LOVE it! And so simple! Well done, YOU! That is seriously the coolest cake. Ever! How funny is that? I love it! This is so fun! Looks like your dad is one happy mustache man! Your cake is rad. We are having our own mustache party in honor of my husband's stache. I won't be growing mine out for the occasion. Doing a trial run on the cake today. Saw Flight of the Conchords in concert on Friday & thought of your blog. Thanks!! how am i just now finding your blog? well, I was googling mustache cakes and there you were. This is hilarious!!! I was also googling mustache cakes and fell upon the most beautiful looking mustache cake :). My husband's turning 27 and a few months back, he thought it'd be cool to grow a big, thick mustache. This seems to be the perfect cake to honor the year that just passed. Merci PaisleyJade! Quick question. How did you cut the round cake into 2 paisleys? Simply with a knife or did you use a some type of cutter? I'm worried I'll mess it up. Hi Hajar - sorry I've taken so long to reply (have been in Israel for 3 weeks). We just used a normal knife to do this (a sharp one with no serration). This cake looks really great. I am using this cake for a Movember party tomorrow. Omg im making one for my bday! okay! so i have to make this for a mustache party... any other tips?? I have to make a Mustance cake on April 30th for a baby shower (lol).. They are having a bash the stance party and they called me to make their cake. So thanks for posting this it gav me a little bit of and idea of how to make one. OMG! This is perfect! My friend is having a mustache birthday party and I am totally going to surprise him with this cake!! Thank you! This cake is perfect for my soon to be 19 year old daughters birthday. She's obsessed with mustasches and had said if she could just have a mustache cake her b-day would be perfect. I'm going to look like the best mom in the world. Thanks for posting the directions for this cake. I used your directions to make a mustache cake and it was PERFECT! Can't thank you enough for posting this (and the person who first put you on Pinterest)! Haha... actually my husband is a firefighter and the have a "Mustashio Bashio" every year for charity. They all grow mustaches for 2 months before the event and sell tickets to raise money for local charities. Can't wait to show up with this cake! Love this cake!! What size pan did you use and is it all one layer? Hi. The cake pan was your average sized round cake pan, and the cake is only one layer. The cake mix I used (recipe link in post) makes quite a good sized chocolate cake. Thanks for showing how to cut the cake to form a mustache. I plan to make this cake for my baby boy's 1st birthday - A "Little Man" theme. We're going to provide guests with pre-tied neckties and eyeliner pencils to draw in an awesome mustache for the party. I plan to draw mine on my finger so I can pose for pics but not freak out my "little man". Should be fun! I'm going to make one this upcoming Friday for my birthday! Thanks for the idea! I made this yesterday for my best friend's 27th birthday. She LOVED it. Thanks for the awesome idea!! My son turns 12 on Thursday. He requested a mustache cake. I googled "how to make a mustache cake" and found your blog! THANK YOU for showing me how to do this! My son does not like cake, so I always have to make cookie cake and this still will be easy to do with minimal carving and forming! Googled mustache cake since I'm throwing my husband a mustache party on saturday and found this site. Awesome cake! Definately got inspired and will make one. we have an appropriate situation where only such a cake will do!!! Thank you for this great blog. I made one of these cakes using your directions in April of 2011. I have been asked to make another one for a baby shower on the 21st of July. I just hope it turns out as well as the first one. Thanks! I couldn't believe it when I googled mustache cake. I'm making one for my 9 year old grandson's Mustache Birthday Party. You saved me a lot of effort and the cake will be much better looking than I imagined. THANKS! I'm making a smaller version of this cake for my son's 1st b-day smash cake. We're doing a mustache bash. teeheehee this is hilarously wonderful!!!! what a great idea!!!!!! I am definitely making one of these for my 15YO daughters birthday party, she's going all out with her 'Stache Bash. I found the perfect website for all her party needs including cookie cutters, sandwich cutters and disguise a sandwich mustache bags LOL can't wait!!! It's going to be 'Stache-tastic!! Thanks for the tips! I would have tried to cut one from a 13X9 LOL!! My 16YO is obsessed with staches. 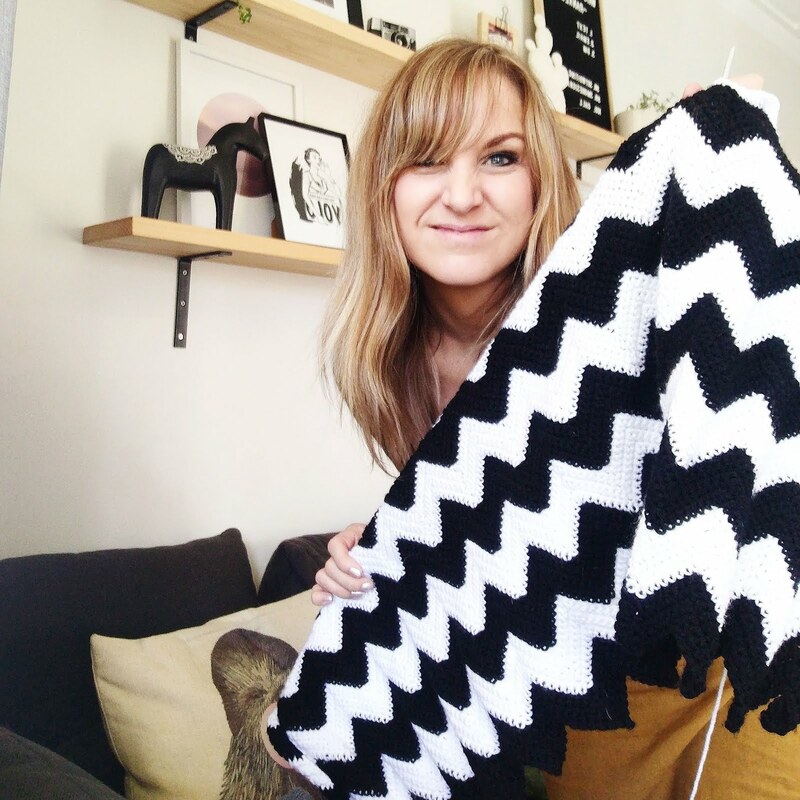 So I am going to make this for her! My 6 year old daughter has requested a moustached themed birthday party! We just finished cutting the cake into the moustache shape and we're going to ice it. She's chosen yellow to match her hair! I'm making one next week for my daughters 11th birthday. She's obsessed with the new mustache craze lol thanks for the how to!!! My 12 year old sister is the same! Totally made it today. A double layer gluten free (pamela's gluten free chocolate cake mix) mustache cake for an 8 year old girls bday! Mustache crazy kids! I froze the cakes to make them easier to cut. Cut/trimmed the tops to make them more even as well. Everyone loved it! Thanks! I am actually just about to make it for my sister's 12th birthday party! Hahahaha she choose mustaches for her theme this year! I just made the cake the cake for my granddaughters Easter cske. Making one this weekend for my Grandpa's 95th! I am making a mustache cake for my son's 14th bday today. Hope it turns out as well as your cake. I'm making one for my baby shower. Our theme is Bow or Boy and it's all pink hair bows and blue mustaches. Ohhhh, I love the way you topped yours. Your frosting looks awesome, mine was a bit of a fail! 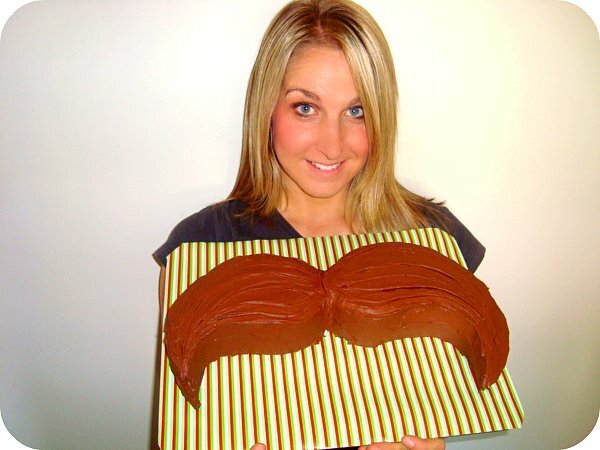 http://mscritique.com/moustache-cake/ Will try it again this November for Movember! I am going to try this cake for my daughters 12th birthday this is her theme!